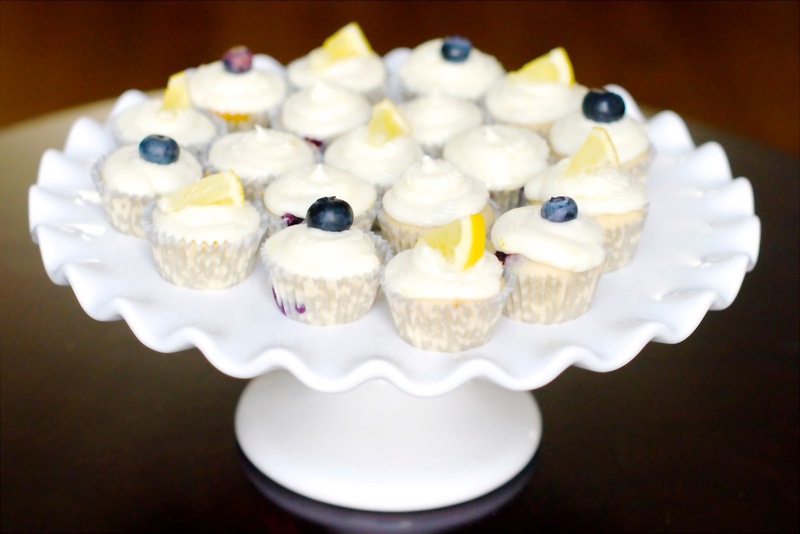 You are in for a real summer TREAT this week: blueberry lemonade cupcakes! The combination of TART lemons with JUICY blueberries is DELICIOUS. 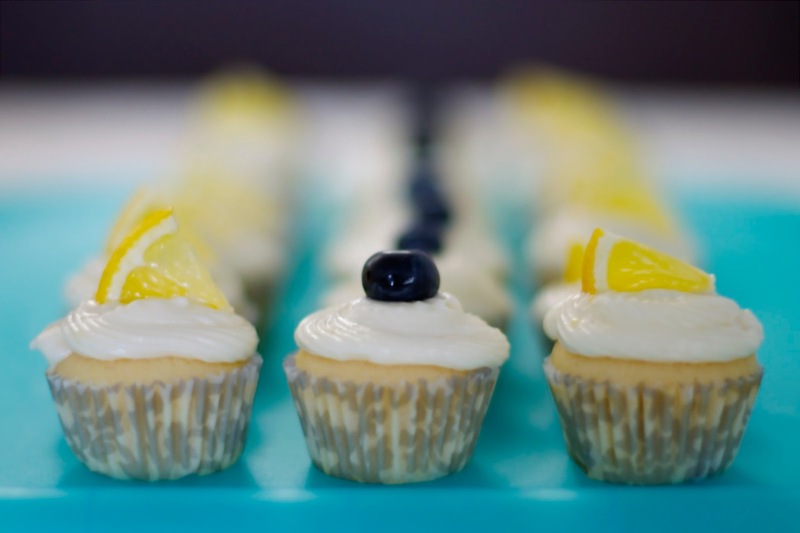 For an extra lemon punch, we topped the cupcakes with lemon kissed cream cheese frosting. Last summer, we stumbled upon a refreshing drink at Millies in Nantucket: Blue Lemonade. We LOVED the combination of fresh lemonade with blueberry vodka. We even served this delicious cocktail at our nautical themed birthday party last night. You can read all about our birthday bash next week on the blog. This week, we are going to show you how to transform this AMAZING drink into an AMAZING cupcake. The lemon flavor of the cupcake is light. When combined with the lemon cream cheese frosting, every bite is DELICIOUS. The blueberries add more moisture and just a hint of tartiness. 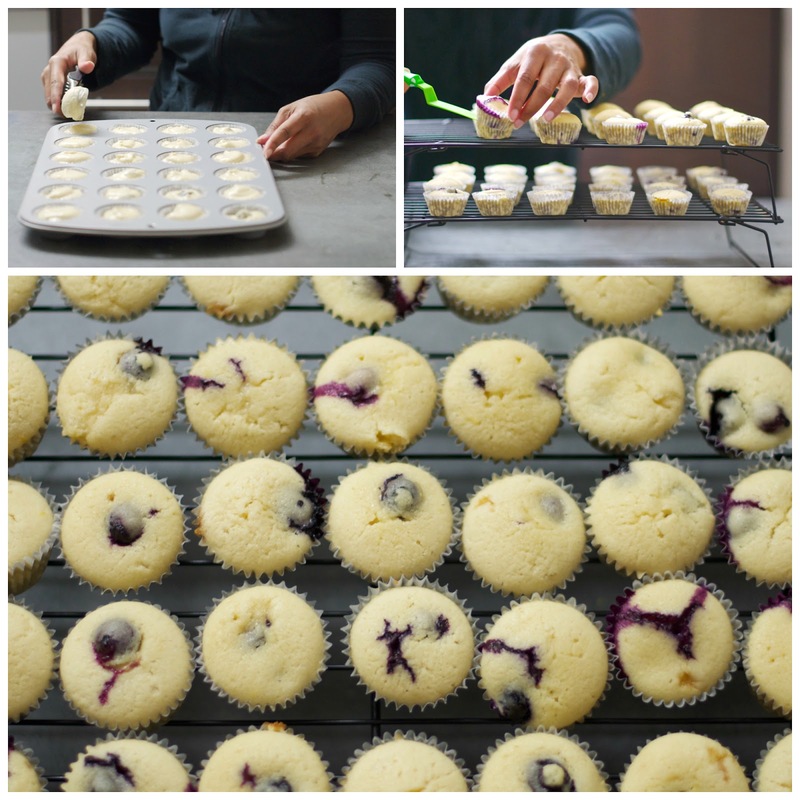 Expect the blueberries to sink to the bottom of the cupcake during baking. I considered trying to change that, but everyone who tasted the cupcakes said NOT to. They loved the distinct way you taste lemon and blueberry separately, yet the flavors all meld together in your mouth PERFECTLY. Previous Post Big Apple To The Minneapple!